Have you tried Google’s mobile-friendly test lately? It can be a good place to start if you’re wondering how good your mobile website is. And if you’re not happy with the results, then maybe it’s time to consider some mobile optimisation work for your website. After all, we’re all heading fast to a mobile-first online world these days. Unless you’re a mobile marketing expert or an ecommerce specialist, it might seem like a daunting task getting your website into a top shape for mobile performance, but it’s simple enough to just browse your website on a mobile device and ask yourself these questions to see if there’s room for improvement: Can you navigate easily? Do you have to zoom in or out on any pages? Could you place an order fast? How long do you have to wait for the website to load? Is it an exact copy of your desktop version? 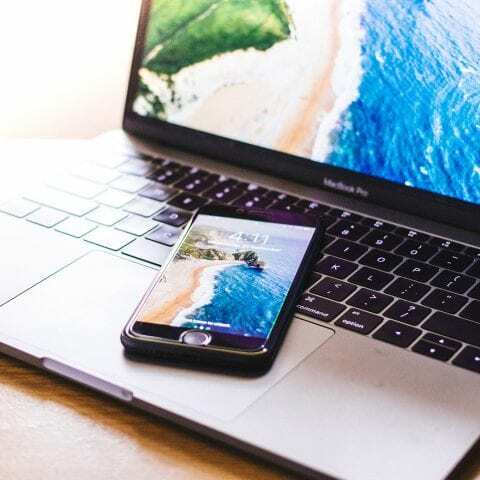 They say the first step towards recovery is admitting you have a problem, so if you’ve accepted that your mobile website is far from where you want it to be, here are a few things to consider that can make a big difference. Did you know that according to some studies, the level of stress caused by experience mobile delays is comparable to watching a horror movie? Or that 53% of mobile visitors will leave a page if it takes longer than 3 seconds to load? The message is loud and clear – speed matters. So, if you want to improve overall performance for your mobile website, making sure that it is lighting-fast is one of the first areas where you should start making improvements. Create a seamless, easy-to-navigate user experience that your visitors will love and you can increase chances of them coming back again. Investing in UX design which is responsive on mobile can not only show your users that you care about them having an excellent experience on your website, but can also translate into higher conversion rates and improved customer loyalty. CRO analysis can allow you to quickly identify pain points on your mobile website, as well as discover and understand what needs to be done to fix them and improve overall conversion rates. Good for your website, your customers and your business. With mobile devices, you have a lot less space for content, so you need to ensure that the copy on your website is not only high-quality and persuasive, but also fit for consumption on smaller screens. Video can help you convey your messages better and mix it up a little, whilst SEO-focused content that is targeted at longer-tail keyword phrases which are specific to voice searches can help you appear higher in search results. These are just some of the areas which you can improve in order to optimise your mobile website, but if you need more help, don’t hesitate to get in touch with the Un.titled team. We’re a friendly bunch and we’d love to help, so give us a ring on 0116 326 0090 or drop us a line at [email protected].